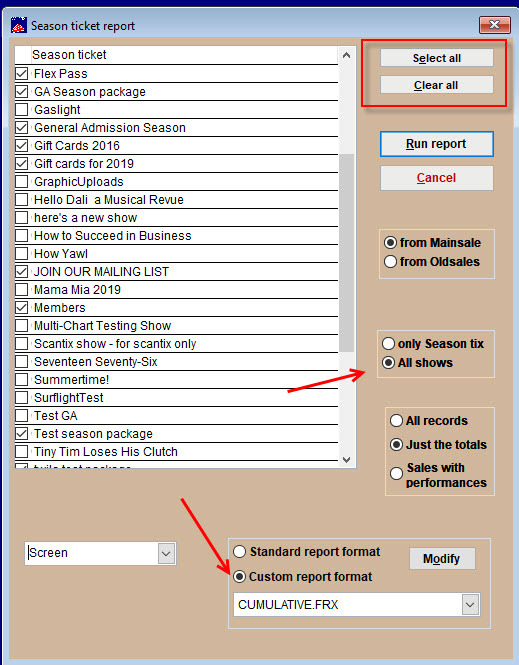 Depending on which shows you wish to run a report, you can choose to select the Select all or Clear all buttons and manually select the shows. 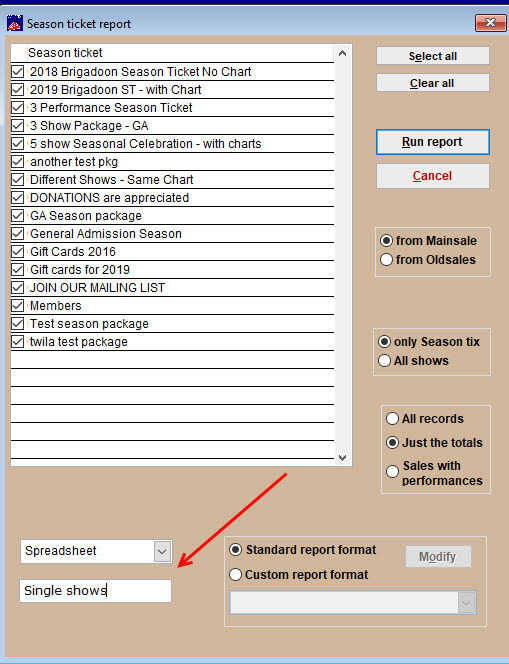 Choose the Custom report format radio button and CUMULATIVE.FRX from the dropdown menu. Choose the Screen or PDF dropdown and click the Run report button. 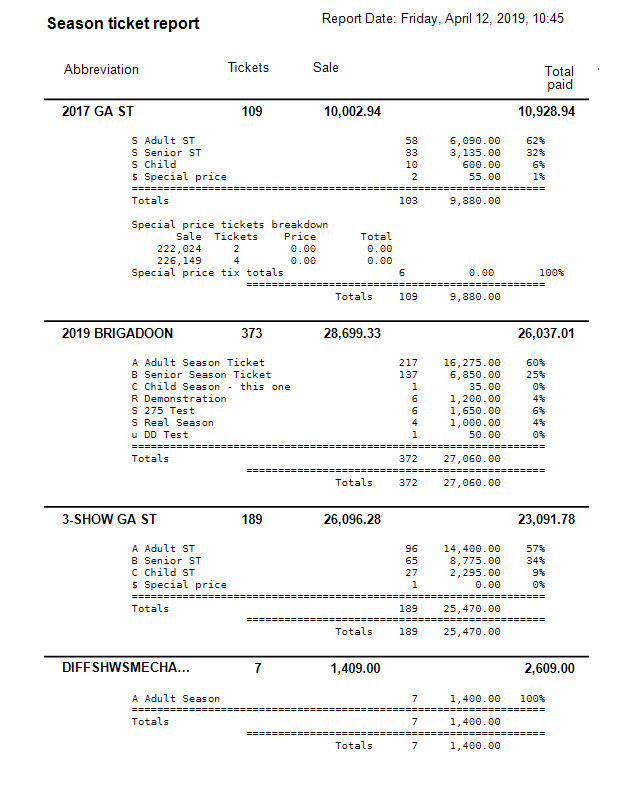 NOTE: If you need to run this report and send to a spreadsheet or a dbf file, you can change the name from Season Ticket Report to whatever name you want to give the report. In the example below, we chose to run the report to a spreadsheet and renamed the report to Single shows. NOTE: If you don’t have the custom report called cumulative.frx, contact us so we can send you the file. This entry was posted in Accounting, Reports, Wintix 6 and tagged tutorial. Bookmark the permalink.